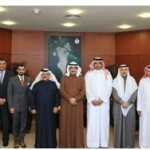 (Manama) – His Royal Highness Prime Minister Prince Khalifa bin Salman Al Khalifa received Manama Governorate citizens and affirmed that government-citizens communication channels are constantly available, stressing doors are open to citizens to express their needs and aspirations. 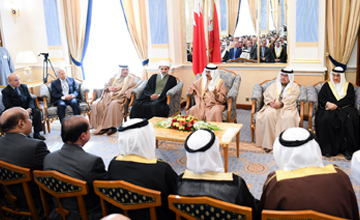 HRH the Premier emphasized that national unity in defending the homeland has always paid off, noting Bahrain will remain a country of harmony, security and safety, thanks to Bahrainis’ kindness and resolve to protect their homeland’s interests. 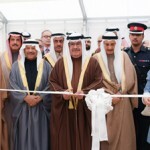 HRH the Premier said the directives of HM King Hamad bin Isa Al Khalifa are regularly motivating the government to exert more efforts to meet citizens’ aspirations, noting the government’s endeavour to maintain national security and stability and providing decent living for the people and meeting their needs. HRH the Premier said he is determined to constantly follow up the level of government services provided, most notably security efforts, . HRH the Premier highlighted the need to adhere fully to national unity to take on the political and economic challenges in the region. He added he attached great significance to communicating with the community, as a vital factor to strengthen national unity. The attendees expressed delight in meeting HRH the Premier, praising his interest in receiving citizens and listening to their needs and aspirations.